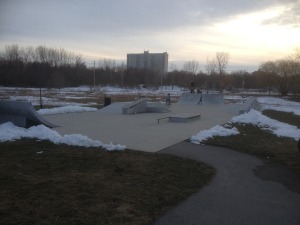 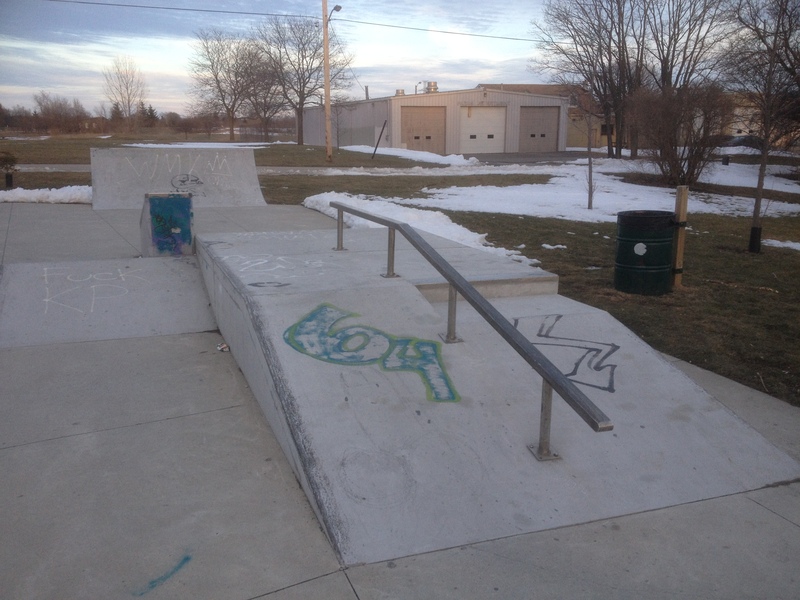 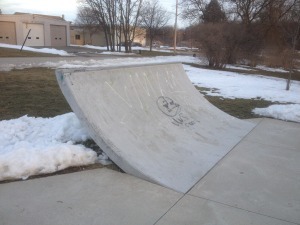 Let’s go to 15 St Julien Street in London, Ontario, Canada and explore the skatepark that’s there. 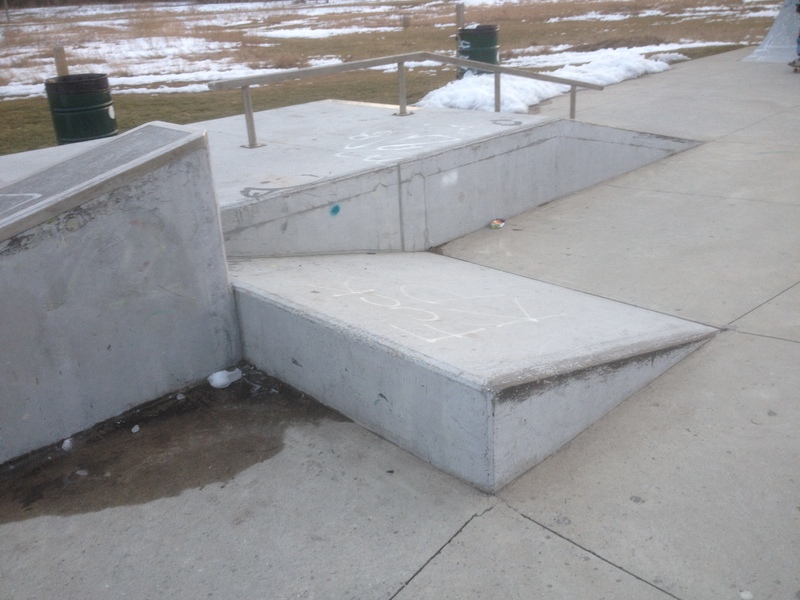 I’m not sure why this park doesn’t have an official name or any signage . Everyone just calls it St. Julien Skatepark or St. Julien’s. It has some pretty cool obstacles and enough room to just zoom around. 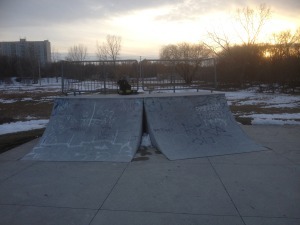 These twin quarter-pipes are nice! 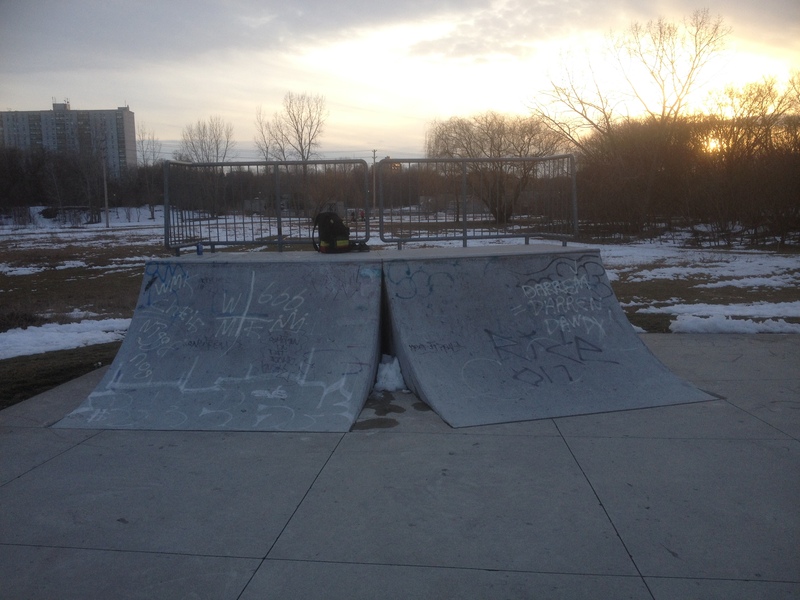 I like that this park is clean (not a lot of graffiti) and the skate surface is really smooth. 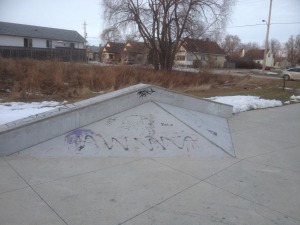 I hope you enjoyed this visual skatepark tour and that I will see you out at one of these parks this summer!